There is a wide variety of stochastic ordering problems where K groups (typically ordered with respect to time) are observed along with a (continuous) response. The interest of the study may be on finding the change-point group, i.e. the group where an inversion of trend of the variable under study is observed. A change point is not merely a maximum (or a minimum) of the time-series function, but a further requirement is that the trend of the time-series is monotonically increasing before that point, and monotonically decreasing afterwards. A suitable solution can be provided within a conditional approach, i.e. 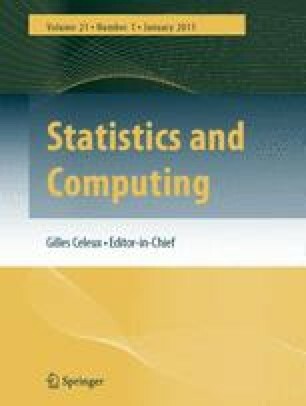 by considering some suitable nonparametric combination of dependent tests for simple stochastic ordering problems. The proposed procedure is very flexible and can be extended to trend and/or repeated measure problems. Some comparisons through simulations and examples with the well known Mack & Wolfe test for umbrella alternative and with Page’s test for trend problems with correlated data are investigated.